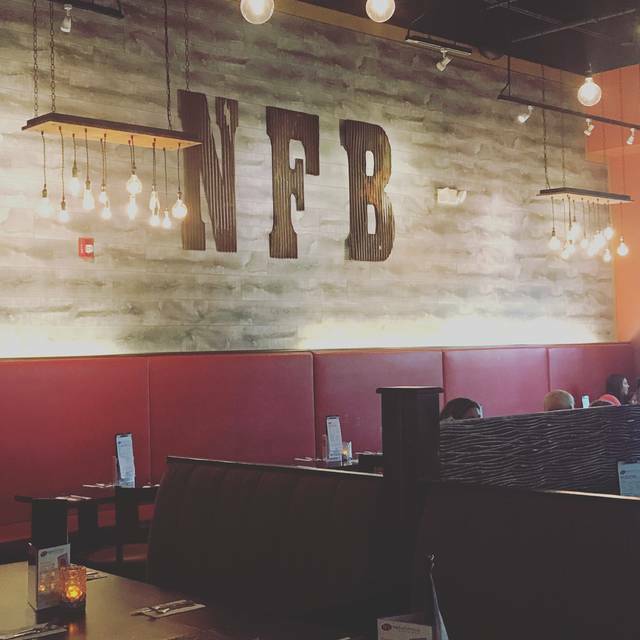 You must make reservations at least 5 minutes in advance of the time at Naples Flatbread Kitchen & Bar. Plenty of free parking in front and behind restaurant. FREE valet parking in circle! Full Service Catering for all occasions from 5 people to 500. Basic and Deluxe Packages available. Call store or see our website for details. Naples Flatbread . 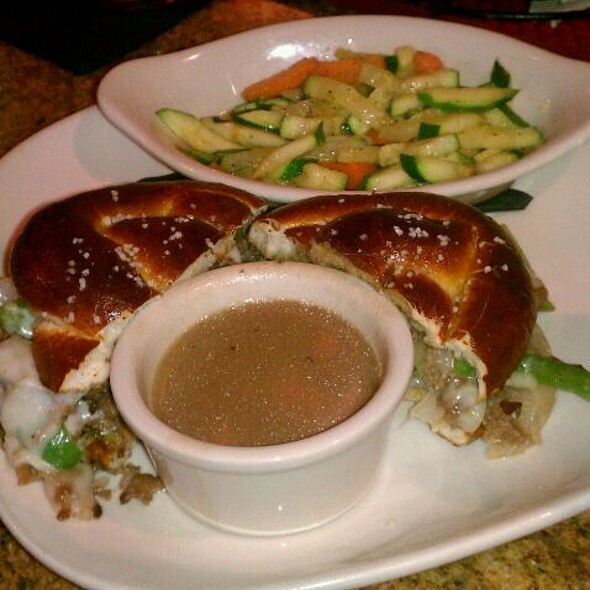 . . where comfort food meets casual chic. Gourmet flatbreads with bold, sensual flavors. Neapolitan pizza, hearth baked pasta, burgers, gourmet mac & cheese, overflowing salads, wraps, taco's, grilled paninis and roasted chicken wings. Top TripAdvisor rated restaurant at Mercato and Estero. $2 off on all beer, wine and cocktails. 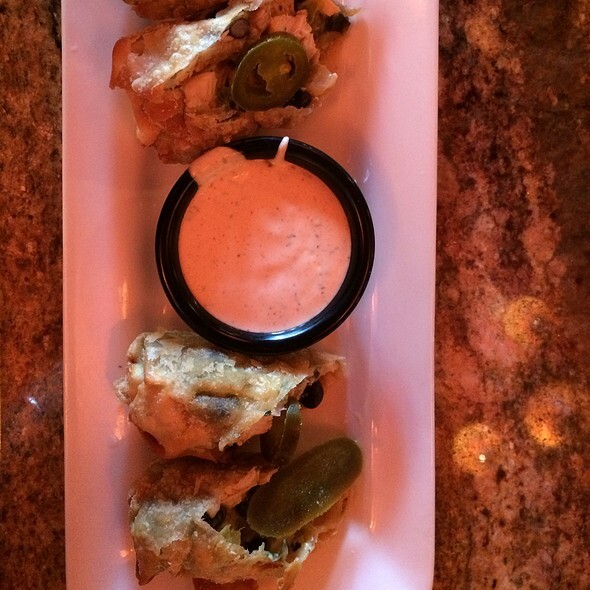 Special Bar Bites Menu Starting at $2.99. $5 Glass of Veuve Clicquot Champagne from 3pm to 6pm. From 7pm to 10pm you pay the price of the "Hour Hand on the Clock"
Buy any Regular or Large Pizza or any Regular Flatbread and get the second at half price! Buy a Two Taco Entree and get the second Two Taco Entree at half price. $5 Don Julio Margaritas and Drinks ALL DAY! Nice evening to take advantage of the outdoor seating and the Weds specials. Our server, Julie, was excellent. Our service Jamie has made our experience fun and amazing so we come back now regularly. Love the Captiva salad. We stopped on our way to a concert at the Artis Center. Many items looked good on the menu so it was hard to choose. Our server made recommendations, and 3/4 picked the California flatbread. It was delicious. The garlic Parmesan bone in wings were amazing. We ordered pizza which they are supposed to be known for and it was not very fresh and not very good. I had a surprise party for my 15 year old daughter at Naples Flatbread. The staff was great; super friendly and helpful. Naples Flatbread was the only restaurant in the entire shopping center that would let me make a reservation for a party of 15. No question about it. It is always good but it seemed bit noise with loud music and people talking.. I might go at off time since it was hard to have a conversation at table..
We ate outside which was great. It was quiet with not much noise b/c it was at the end of the mall. Gage was our server and was very good. Unfortunately, the downside was the food. We had salads, flatbread, pizza, turkey wrap, and shrimp tacos, the best was the turkey wrap, Very flavorful. The egg rolls were very good as well, nice they weren’t fried. After that the rest of the food was rather bland. The shrimp tacos were definitely not good. The crust for flatbread and pizza was so lackluster, especially being in the name thought it would stand out. Food and Service were acceptable, tight dining area, I was bumped into several time by servers. Ok food, some of the flatbreads were tasteless. Trivia night was fun. Tacos were very bland. Flat bread was only ok. Cocktail was boring. We sat outside and the ambience was very nice and service was very good. I loved their Impossible Burger!!! Thought it really was meat!! Very good pizza and flatbreads. Prices good during Happy Hour. Service fine. Terrible never got to eat. Made a reservation they said everything not working no reservations . Dirty tables no waiter or waitress to help. After 30 mins no one came over. Left restaurant. Loved the trivia game on the screens and the company that came in to do trivia. Amazing champagne happy hour on a Thursday. Service and food good. Our expectations were greater than this place deserved. The waitress was lovely. The food fair at best. Rather tasteless. Value ..paid for what you got. Excellent food and service as always. Thank you. Celebrating a friend’s birthday!! Enjoyed a meal and trivia. Great place to unwind. 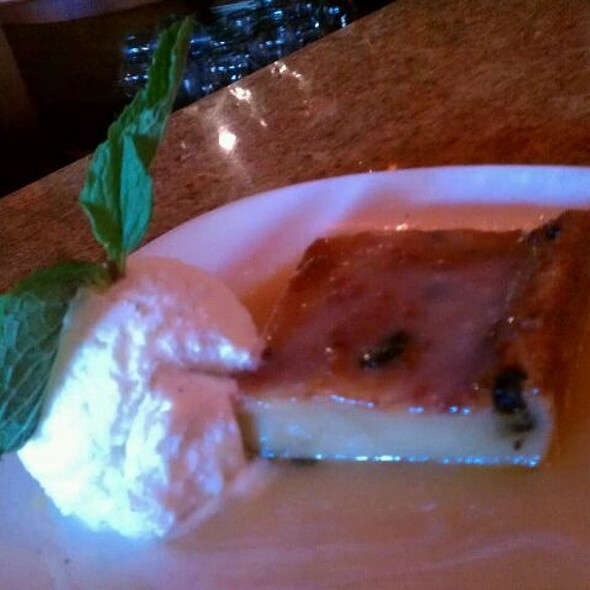 Good food , service and has gluten free selections! Salads are delicious. Flatbreads are tasty but essentially oval pizzas. When we made reservations, we happened to see the wtf Wednesday special of buy one regular pizza or flatbread, get another half off. So we thought we would go ahead and try that when ordering. When we ordered the lady asked which size we wanted. I asked what the difference was. She used her hands to demonstrate the size difference so I said the smaller portion would be fine. We got the bill and were charged full price for both. I asked what happened to the wtf Wednesday special. She said we had to order the larger size! Why didn’t she mention that when I was asking about the sizes? The description just said “regular”. I didn’t know what “regular” was - I assumed that just meant one from the menu vs a custom one. We were furious since this was the only reason we both ordered flatbreads. Obviously had we known we would’ve gotten the larger sizes, paid about the same and had leftovers to take home! No where on the menu was the word “regular” used to describe sizes. The waitress should’ve mentioned that when I asked about the sizes and she should’ve compensated us for the misunderstanding. We love this place. 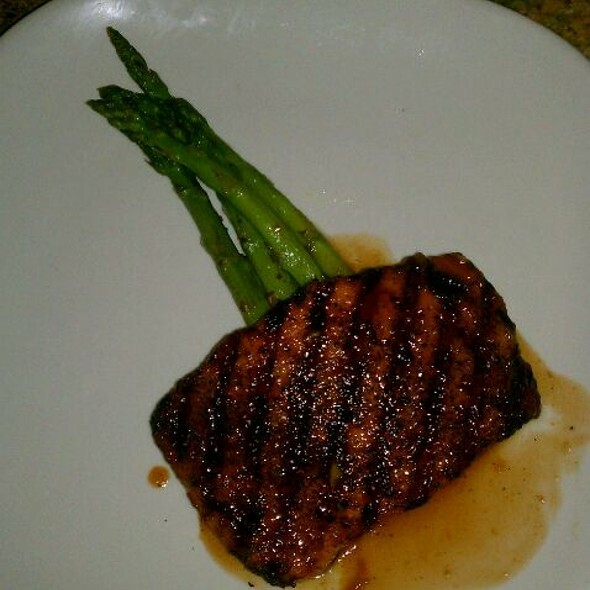 The food is always good and the service is excellent. There were eight of us, I made a reservation and they had our table waiting for us outside. The outside area is lovely and not too close to the traffic. Jamie, our waitress was efficient and didn't rush us. This is one of our favorite Naples restaurants. We had 2 grandchildren visit us in Naples. The service was great. Our waitress did everything possible to make our visit right. But the food was just OK. With kids it was ok. Very good flatbread. Good service and good ambience. There was no hostess or server to check in with. We waited quite awhile and decided to take a seat at the bar since we had a movie to catch. We found a server and she said she’d fix it in open table. This seems to be a theme we’re seeing a lot on open table. Next, we ordered our meals and the server got two of four of our meals wrong and claimed that we both said something other than what we said (I said ‘no pecans’ 3 times and the salad shows up covered in pecans) and my friend thought she ordered a salad and even said she only wanted oil and vinegar instead of the usual dressing and a flatbread pizza arrived instead of a salad ..along with oil and vinegar on the side! The ABSOLUTE WORST part of the evening was COMPLETELY UNACCEPTABLE! At 7:30 pm a LOUD and obnoxious trivia game was blared over a mic from a guy they hired for entertainment purposes. Much to our COMPLETE DISBELIEF, one of the current event questions he asked was the following: “Yesterday there was a bank shooting in Florida where 5 people died, what was the name of the bank?” !! We could NOT believe it!! We mentioned how incredibly distasteful it was to the clueless server and he shrugged his shoulders and essentially ignored us. There was no manager anywhere around but needless to say, we couldn’t wait to get out of there! Just a week prior, we dined at the Naples Flatbread at Estero and ordered the SAME things and the food was not only delicious and tasted COMPLETELY DIFFERENT (perfectly cooked salmon and pizza was true Neapolitan, unlike the well done salmon and average pizza last night!) 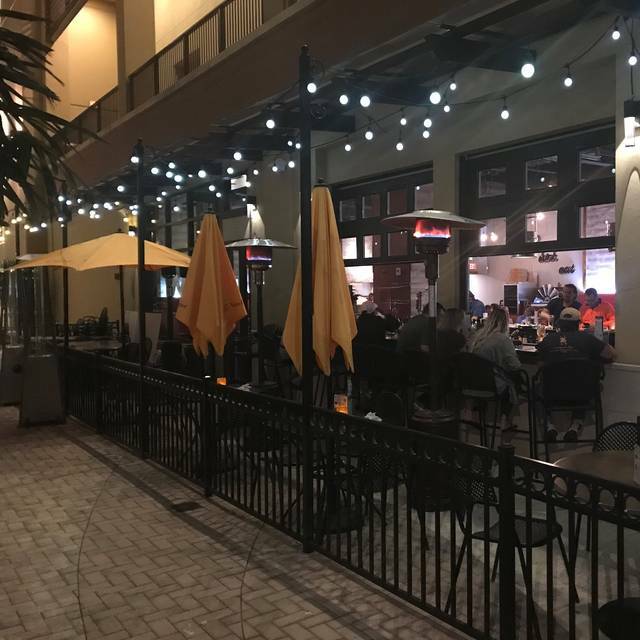 and the service in Estero was also excellent....which is why we were excited to recommend the Mercato location to our friends, which turned out to be a BIG mistake! The prices are probably the only thing right with this restaurant. Food was fair at best. Only went because we had a Gift Card. We eat there every season we come to Naples. Unfortunately, this time the wings were not cooked. They were gooey. Way too noisy with bingo going on....could not be seated outside....avoid Friday nights! 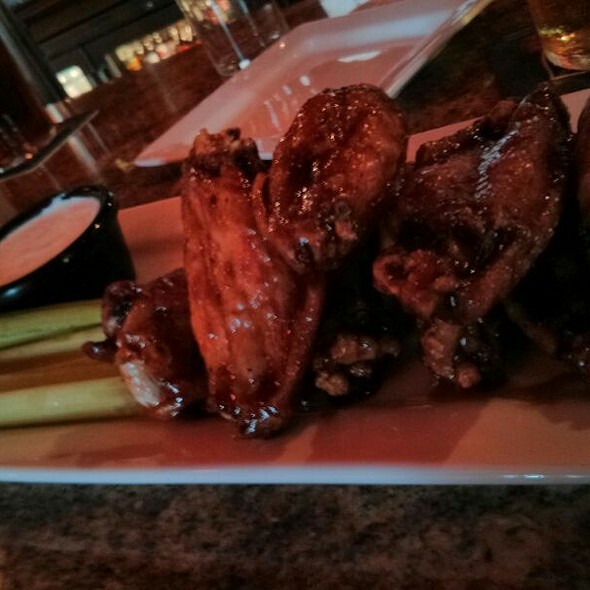 Thursday night's 75-cent wings and Cliquot on the clock cannot be beat. The menu options were great and the prices were exceptional; $5 well drinks with Tito's vodka! Unheard of. They have Veuve Clicquot champagne by the bottle for less than you can buy it at Trader Joe's....shhhh! Love the place! Its not a first date place or a quiet place but the staff is friendly, the owner works there, and the food is very good and well priced. I wish the location were in the front of the complex at Mercato but then again, it might mean the prices are higher, so the back it is! Great and unexpected find! Food was delayed due to computer issue; however, those around us seem to get their order even arriving after we did. Once we received our order things went smoothly. Wait 45 minutes....reservations 5:30 with food served at 6:15.